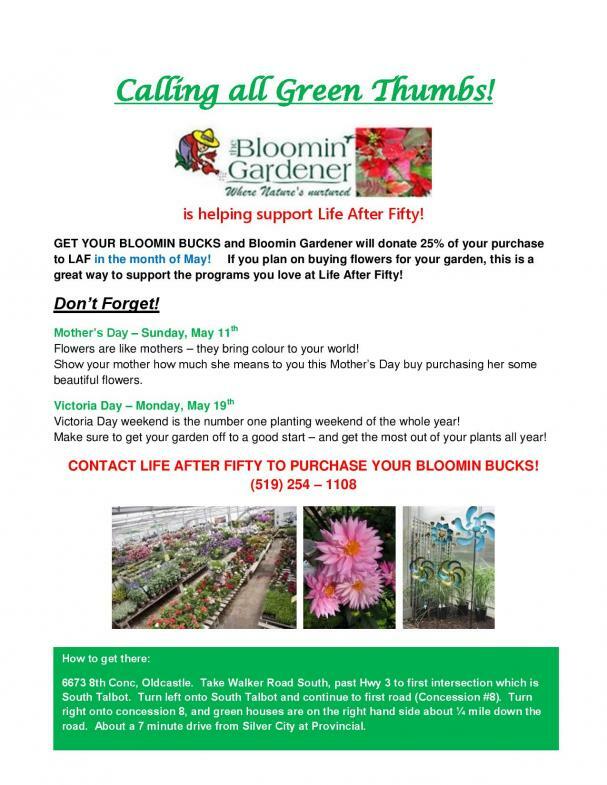 Support Life After Fifty by shopping at Bloomin' Gardener! Will you be purchasing plants for your garden this Spring? Why not support Life After Fifty while you shop! *Note: Sponsorship will only be provided to Life After Fifty for purchases made with LAF - Bloomin' Bucks, which will be available at either Life After Fifty location throughout the month of May. Bloomin' Bucks will not expire until September, 2014. 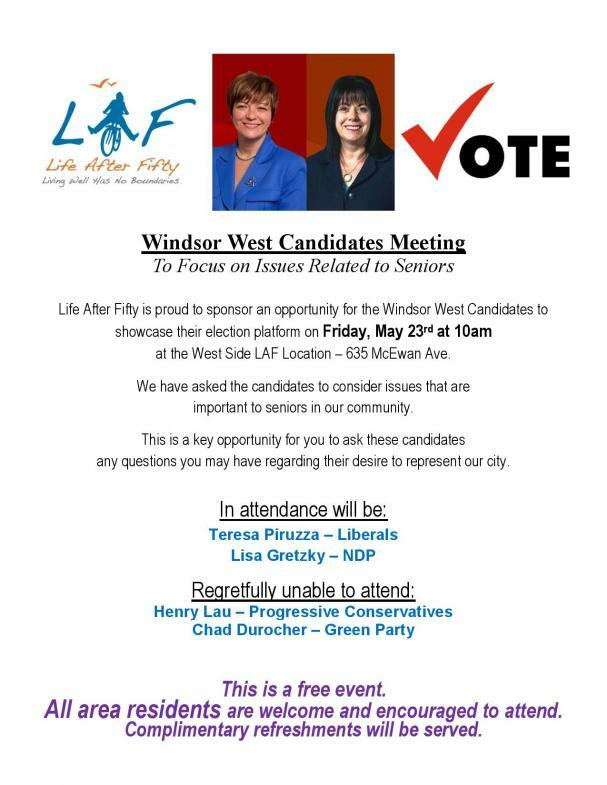 Windsor, ON - Life After Fifty is proud to host a Windsor West Candidates Meeting as an opportunity for the Windsor West Candidates to showcase their election platform to our members and the general community in advance of the June 12 General Election. 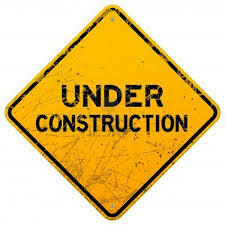 The meeting is scheduled to take place at 10am on Friday, May 23rd at the Life After Fifty West Side Centre, located at 635 McEwan Ave. This is an open event and all are welcome and encouraged to attend. Lisa Gretzky representing the New Democratic Party. Each candidate will be given time to outline their platform, followed by an open Q & A session and a meet and greet component. Light refreshments will be served. This is a key opportunity for residents of Windsor West to ask these candidates about their desire to represent our city. Both Centres will be closed on Monday, May 19th for Victoria Day. Mon. April 28 - Fri. May 2.